Situated in the lap of nature, Triund is a small hill station in Kangra district in Himachal Pradesh. This place has rich mesmerizing beauty and is located at a height of 2,282m. Among the most beautiful hill stations, Triund is truly a jewel of Dharamshala. People go there all the year to experience the enchanting ambiance of nature. The most famous activity to do is Triund Camping. I also trekked all the way from McLeod Ganj to Triund for camping only. Imagine yourself surrounded by big green lush atmosphere, snow-capped mountains, the cacophony of the nature; what else is needed more? This is a place where you don’t need an alarm clock to wake you up in the morning. You just need to connect yourself with the nature and that’s the only important thing to do here. Though it looks so beautiful and easy, there are certain things you should know before doing Triund Camping. If you are a first timer who hasn’t done camping on hills and in jungle, you need to take care of few things. Camping was among my favorite travel activities to do and I finally made it. I love travelling and travel whenever I get time as it is not that much easier while you have a job. This time I just randomly made this plan of going to Triund and camping there. Based on what I felt and faced there while doing camping at Triund top, I have prepared this list of things to remember before doing Triund camping. 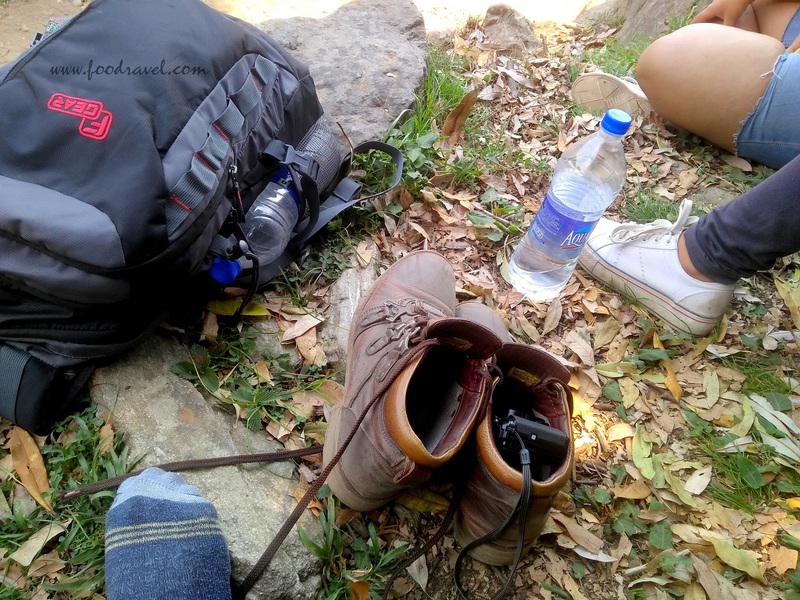 I hope this list will help you if you are planning to do Triund trekking and camping. I have done trekking before, I did in Tosh but I was a first timer for Triund camping. I had just heard about it from others, read in books and watched on TV. But this was my time to paint this imagination in the colors of truth. So, I reached the top when the day and evening were just about to lose themselves with each other. I tell you the sun set from here is something you shouldn’t miss here. That’s beautiful; that’s incredible. As it was my first time, so I didn’t know many things about camping at Triund and faced little difficulty though it wasn’t something to be concerned about but if we know, we can avoid any trouble. So here’s a list of few things you should know before doing Triund Camping. Trekking seems quite an interesting thing; adventurous too. But if you are a first timer and planning to trek, better you do some practice. Directly coming for trekking means, you will be just totally tired and exhausted. I remember when I was trekking, I saw a couple and the girl was abusing her boy and she wasn’t able to take even a single step forward. So, do some practice and make yourself comfortable with this. People end up hurting themselves on the way at times. Muscular ache (strain) is a normal problem. Make sure that the clothes and shoes you put on are suitable for trekking. I trekked Triund during the month of May when the weather is little unfavourable, though at the top you will find cool but trekking will exhaust you and you need water. The prices rise the more you move upwards. You may even buy a water bottle at 60 INR which is trice the real price. Carry a packet of Glucose. It will save you from dehydration and energy loss. This is quite basic. Camping at a hill brings several challenges and this is one of them. There are no proper toilets or washrooms. 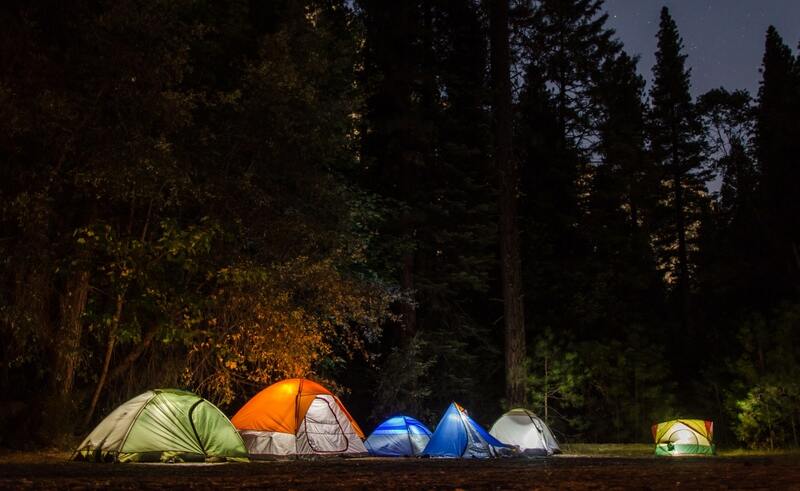 So, get up early in the morning and go somewhere away from the campsite to attend nature’s call. Also, at Triund top, you can wash off your face and brush yourself in the morning. That’s it. 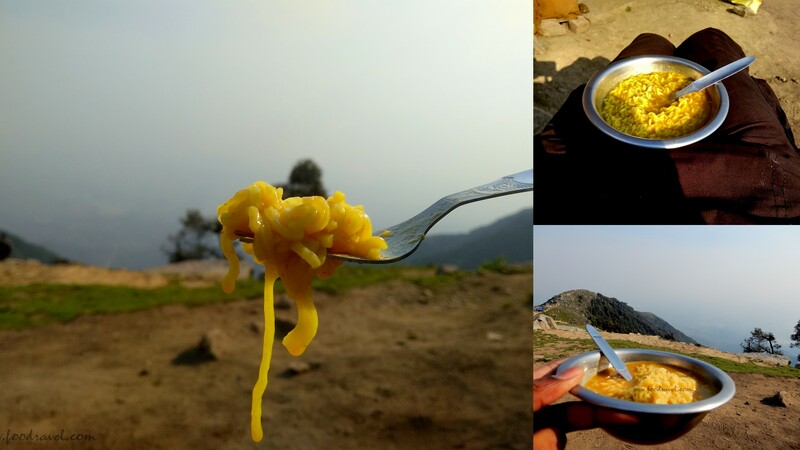 One of the most important things to know before doing Triund Camping, the food is a big challenge. For a guy like me, who needs heavy food after such a hard work, a bowl of rice or noodles won’t do. But I managed. So, the food options available are basically rice, noodles, bread omelette, biscuits, drinks etc. Another thing to know before doing Triund camping, you will not find power at the top. The café owners use solar system for power. You must be carrying your gadget like phone, camera, and speakers. Make sure that you have enough backup for camera. I had two batteries for my camera and one power bank. I charged everything before leaving from The Lodge, where I was staying. It is cold at the top. So you should pack a jacket or sweater which can keep you warm. I didn’t know it and I just had T shirt. But I hardly wear anything heavy in winters as I don’t feel comfortable, so I can manage myself without heavy clothes in Delhi. Carrying your own camping equipment is both good and challenging. The good thing is you can put it anywhere you want and you are saving almost 700 to 800 INR. Carrying this heavy thing all the way to the top on your shoulders is little problem. A survival kit is always a must when you are out into the woods at into the hills. Your kit should include a small knife, painkillers, moisturiser, mosquito repellent, a small torch etc. I had pain and bleeding in my lips for long. You will find no cellular network at the top. So, make sure that you inform your folks and don’t act stupid like me. I usually don’t plan so I forget to tell. But you should properly inform at your home if you stay out. Also, carry enough cash as you will not find any ATM and also, as there is no network so no online payment for food. This is something which we have to follow. No option people! Carry fewer packets (plastic) or if you do, make sure that you bring them back and dispose of properly. While the policemen were registering our IDs and names, they also checked our bags to know what things we are carrying and also requested us to bring back all the wrappers and packets of food, bottles etc. 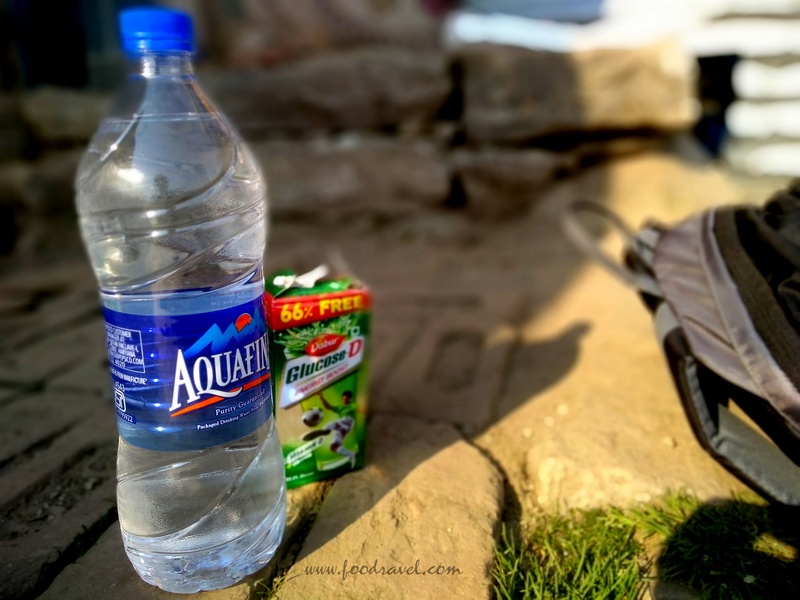 So, these were the top ten most important things to know before doing Triund Camping. Everyone should know these basic things before going for camping at Triund and this will avoid troubles and will make your stay happy, comfortable and memorable one. I enjoy travelling. My first choice always remains somewhere in the lap of nature. And if you are going in the lap of nature, obviously you will have to face little challenge. Camping looks attractive but we need to take care of several things as well. For me, this was my first time and I had a great fun. I travel solo and that too unplanned at times. The biggest planning that I do is that I have to go. This trip to Triund is also one such unplanned trip. Rest of the things it decide on the way. So, when I was at the top and enjoying my camp life, I too faced these basic problems. When I got up in the morning, there was no water. There was water supply but it was off. I couldn’t even brush myself. So, I came back down at Gallu Temple and there I did it all. Also, without proper food, I was little out of energy. And I had mouth ulcers. But the journey was a real fun and a memory which I will always cherish. Have heard and read a lot about trekking to Triund. After reading your post, it seems the place is calling me 🙂 BTW Did you choose a travel agent for camping or carried your own tent? Nah. I went solo. I had no planning. I just went without thinking anything. I booked a tent at the top itself.